Pamela Suzette "Pam" Grier is an American actress. She became famous in the early 1970s after starring in a string of moderately successful women in prison and blaxploitation films such as The Big Bird Cage (1972), Coffy (1973) and Foxy Brown (1974). Her career was revitalized in 1997 after her appearance in Quentin Tarantino's film Jackie Brown, for which she received a Golden Globe nomination for Best Actress. She has also been nominated for a SAG Award as well as a Satellite Award for her performance in Jackie Brown. She received an Emmy Award nomination for her work in an Animated Program Happily Ever After: Fairy Tales for Every Child. Rotten Tomatoes has ranked her as the second Greatest Female Action Heroine in film history. Director Quentin Tarantino remarked that she may have been cinema's first female action star. 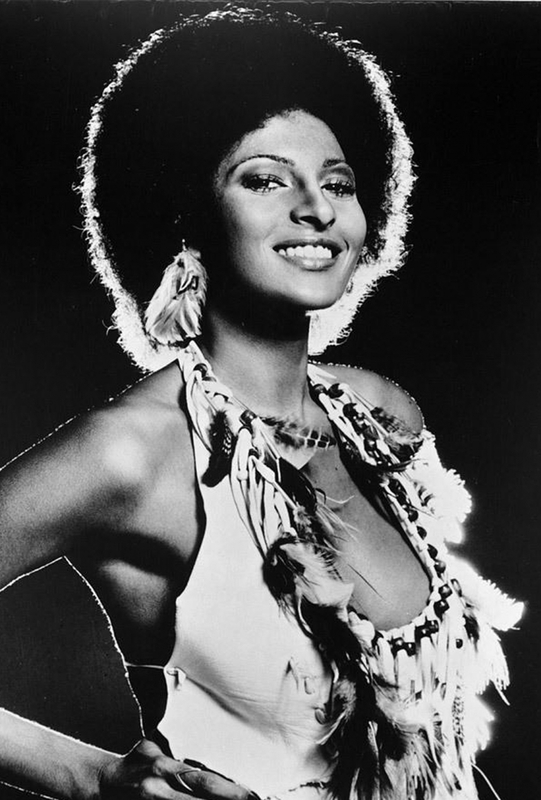 Pam Grier was born in Winston-Salem, North Carolina, the daughter of Gwendolyn Sylvia (née Samuels), a homemaker and nurse, and Clarence Ransom Grier, Jr., who worked as a mechanic and Technical Sergeant in the United States Air Force. She has one sister and one brother. Grier has stated that her multiracial ancestry includes African American, Native American (viz. Cheyenne), Hispanic American, Filipino American. At age 6, Grier was raped by two boys when she was left unattended at her aunt's house. "It took so long to deal with the pain of that," she says, "You try to deal with it, but you never really get over it," she adds. "And not just me; my family endured so much guilt and anger that something like that happened to me." Because of her father's military career, her family moved frequently during her childhood, to various places such as England, and eventually settled in Denver, Colorado, where she attended East High School. While in Denver, Colorado she appeared in a number of stage productions, and participated in beauty contests to raise money for college tuition at Metropolitan State College. Contrary to previous reports, she states that she is not the cousin of National Football League great Roosevelt Grier or to National Hockey League player Mike Grier. Grier moved to Los Angeles, California, in 1967, where she was initially hired as a receptionist at the American International Pictures (AIP) company. It is believed that she was discovered by director Jack Hill, who cast her in his women in prison films The Big Doll House (1971), and The Big Bird Cage (1972). However, according to the Director's Commentary of "Coffy", Hill says that it's not true. He states "Grier was already in various films located in Taiwan and the Philippines prior to meeting her." While under contract at AIP, she became a staple of early 1970s blaxploitation movies, playing big, bold, assertive women, beginning with Jack Hill's Coffy (1973), in which she plays a nurse who seeks revenge on drug dealers; her character was advertised in the trailer as the "baddest one-chick hit-squad that ever hit town!" The film, which was filled with sexual and violent elements typical of the genre, was a box-office hit, and Grier was noted as the first African-American female to headline an action film, as protagonists of previous blaxploitation films were males. In his review of Coffy, film critic Roger Ebert praised the film for its believable female lead and noted that Grier was an actress of "beautiful face and astonishing form" and that she possessed a kind of "physical life" missing from many other attractive actresses. Grier subsequently played similar characters in the AIP films Foxy Brown (1974), Friday Foster, and Sheba, Baby (both 1975). With the demise of blaxploitation, Grier appeared in smaller roles for many years. She acquired progressively larger character roles in the 1980s, including a prostitute in Fort Apache the Bronx (1981), a witch in Something Wicked this Way Comes (1983), and Steven Seagal's detective partner in Above the Law (1988). She had a recurring role on Miami Vice from 1985–1989, and has made guest appearances on Martin, Night Court and The Fresh Prince of Bel Air, and also had a recurring role in the TV series Crime Story between 1986 and 1988. Her role in Rocket Gibraltar (1988) was cut due to fears by the film's director, Daniel Petrie, of "repercussions from interracial love scenes.". She also appeared on Sinbad, Preston Chronicles, The Cosby Show, The Wayans Brothers Show, and Mad TV. In 1994, Grier appeared in Snoop Dogg's video for "Doggy Dogg World". In the late 1990s, Grier was a cast member of the Showtime series Linc's. 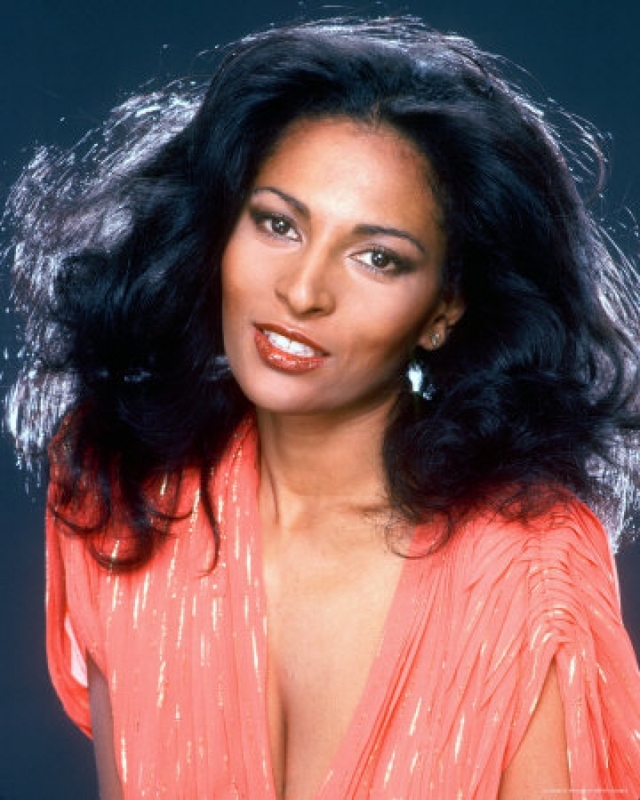 She appeared in 1996 in John Carpenter's Escape from L.A, and 1997 with the title role in Quentin Tarantino's Jackie Brown, both films that partly paid homage to her '70s blaxploitation movies. She was nominated for numerous awards for her work in the Tarantino film. Grier appeared on Showtime's The L Word, in which she played Kit Porter. The series ran for six seasons and ended in March 2009. Grier occasionally guest-stars in such television series as Law & Order: Special Victims Unit (where she is a recurring character). In 2010, Grier began appearing in a recurring role on the hit science fiction series Smallville as the villain Amanda Waller, also known as White Queen, head agent of Checkmate, a covert operations agency. She recently appeared as a friend and colleague to Julia Roberts' college professor in Larry Crowne. Also in 2010, Grier wrote her memoir, Foxy: My Life in Three Acts, with Andrea Cagan. Grier has never married and has no children. She dated basketball player Kareem Abdul-Jabbar during the early 1970s, and had a 18-month affair with actor/comedian Richard Pryor around 1976–77. She also was romantically linked to actor/comedian Freddie Prinze in the 1970s. 1998 she was engaged to music executive Kevin Evans, but the engagement ended in 1999. From 2000 to 2008 she dated marketing executive Peter Hempel. She received her Honorary Doctorate of Humane Letters from the University of Maryland Eastern Shore in 2011. That same year, she received an Honorary Doctorate of Science from Langston University.